Boiler servicing – How often does a boiler need servicing? Boiler servicing ensures that your boiler provides your home with hot water and heating. Your boiler is a costly investment that needs looking after. When you boiler breaks down it causes great inconvenience, waking up to a cold house or no hot water is not pleasant for anyone. Luckily the easiest way to prevent your boiler from breaking down is by having it serviced every year. 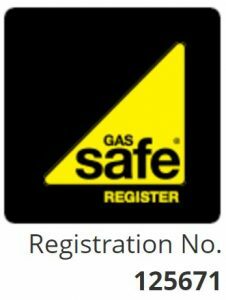 Chris is CJ Heating’s gas expert, he has been servicing boilers for over 37 years, CJ Heating is Gas Safe registered. Regular boiler services are only likely to pay off if carried out by an experienced and qualified professional. Gas leaks in boilers are extremely dangerous but thankfully quite rare. Understanding that your boiler has been serviced and is safe to use will give you peace of mind and help prevent sleepless nights. Regular services will ensure that your boiler is working safely, as well as effectively. The peace of mind that comes with the knowledge that your boiler is safe is always well worth the price of a service. Annual boiler servicing is highly recommended and CJ Heating have the experience and technical skills to keep your boiler running fault free, enabling you to maximise the life of your boiler. Getting your boiler serviced regularly will help make sure that your boiler is running efficiently at all times. An inefficient boiler will be increasing your fuel bill unnecessarily and often the CJ Heating Service cost will be covered in the long run by the saving on your fuel. Compared to old, new boilers are fabulously efficient but unless they are cared for they may soon become clogged which will add £’s to your heating bill. A clogged system will need Power Flushing; a service that clears the debris from your boiler and radiators.